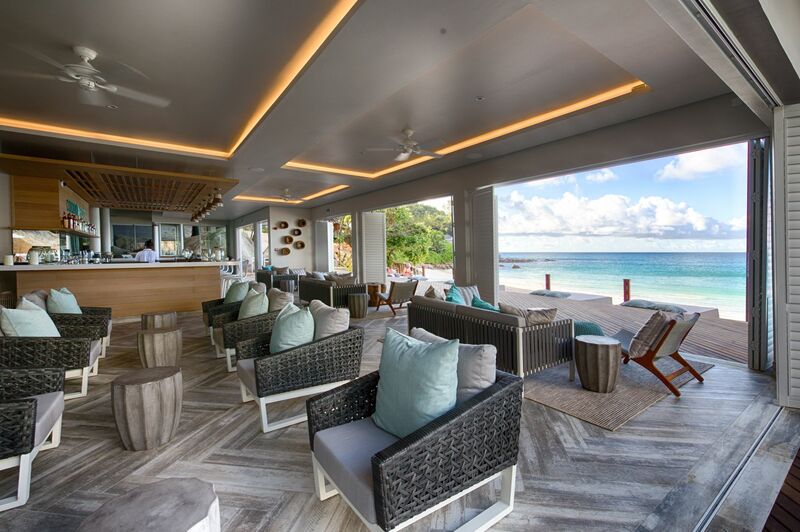 While the luxury Seychellois resorts are seriously spoiling, it’s rather nice to be able to stay somewhere a little cooler, more chic, and more relaxed. Step forwards Carana Beach. What’s Carana Beach really like? This sweet beach-house style boutique hotel sits on a pretty cove right at the northern tip of Mahé, and each of its 40 chalets has been built to make the most of the ocean views. 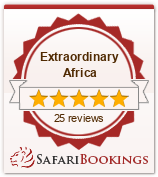 28 of the rooms are Ocean View Chalets, all with wi-fi, air-conditioning and a small terrace to sit out on. The remaining 12 rooms are Ocean View Pool Chalets have a slightly larger terrace and are well worth the additional cost if you want a private plunge pool- we have tested these on your behalf and can confirm they are a welcome treat on a hot sunny day. Décor is airy, modern and stylish with plenty of natural tones, wooden floors, and a very restful contemporary feel. At the far end of the beach is a convivial bar and restaurant, both set right beside the water. Food is fresh, and many of the ingredients come from the family farm. 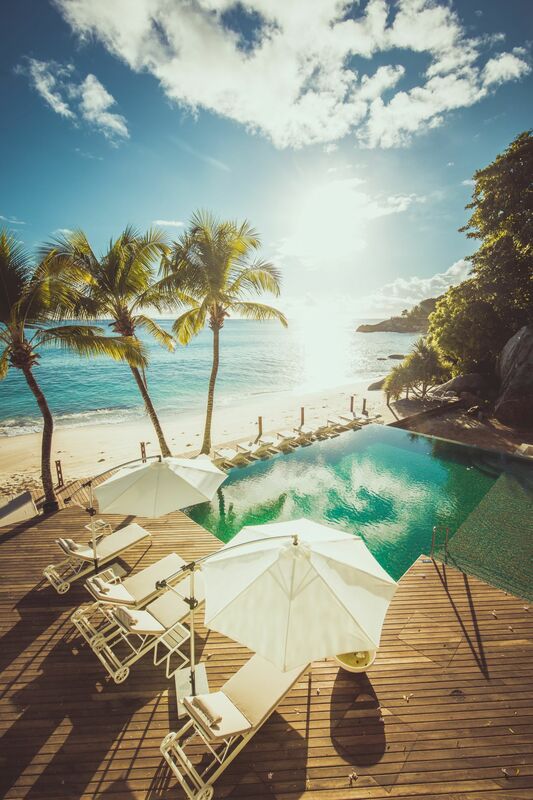 As Carana Beach is not part of a vast chain of slick resorts, service is very personal, but laid-back. 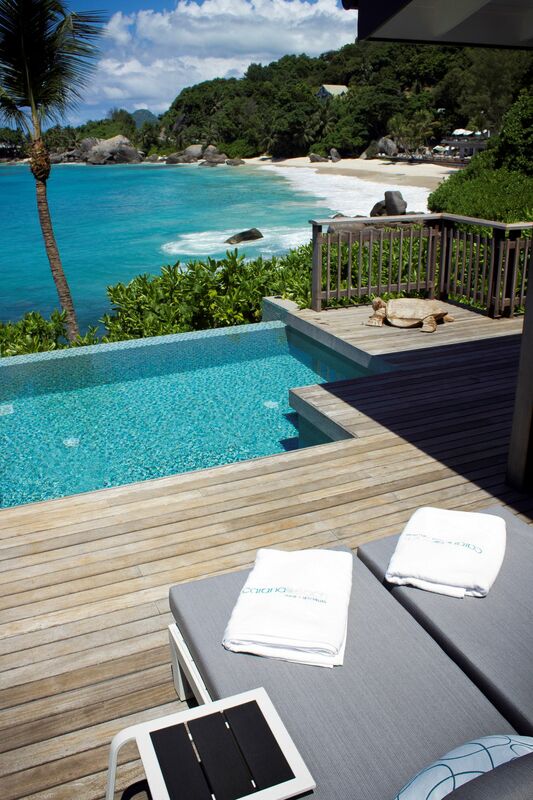 As a result, we’d suggest you come to Carana Beach with relaxed island-style expectations. Near to the restaurant overlooking the ocean is a large swimming pool, which provides a lovely alternative at the times when the water on this wild and very beautiful beach can be a little rough. 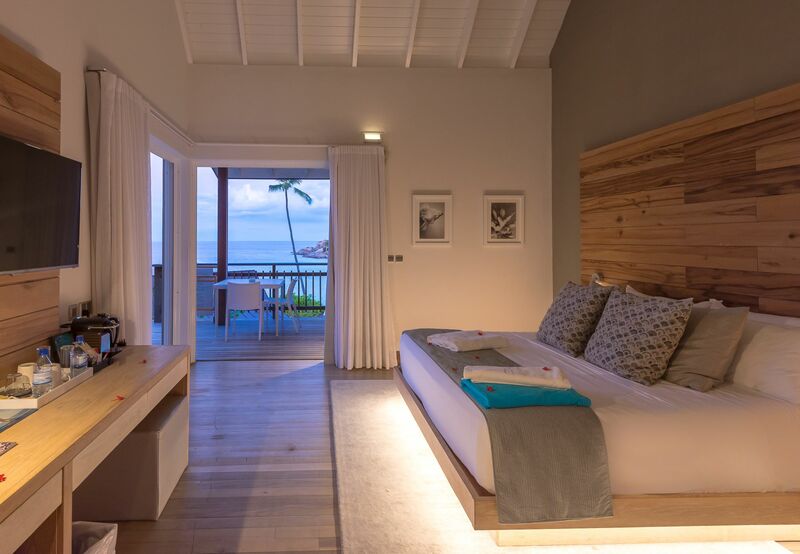 In all we’d say this is a fantastic option for those seeking a small, stylish hotel on Mahé and don’t want the glitz or bustle of a large luxury resort. 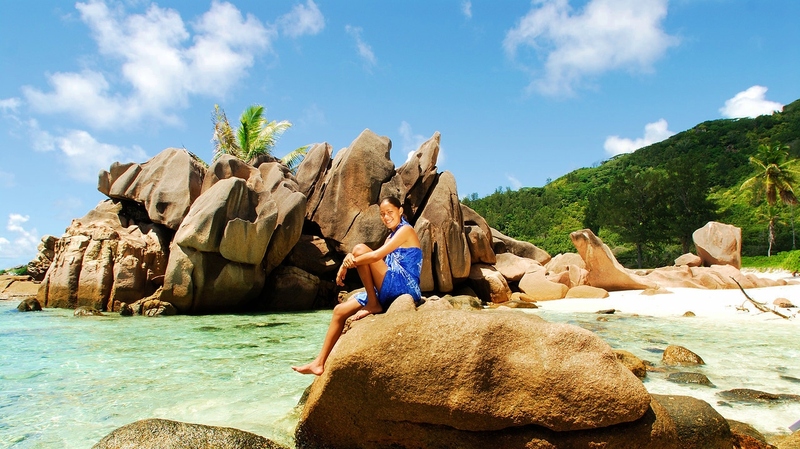 What can I do at Carana Beach Seychelles? Carana Beach isn’t a huge hotel with a raft of watersports on offer. Instead, it is really a spot for relaxing- on the beach, in the pool, or in the spa which is tucked away below reception. It also works as a base for exploring the island- Carana Beach can help arrange a tour of Victoria or riding over on the west coast.